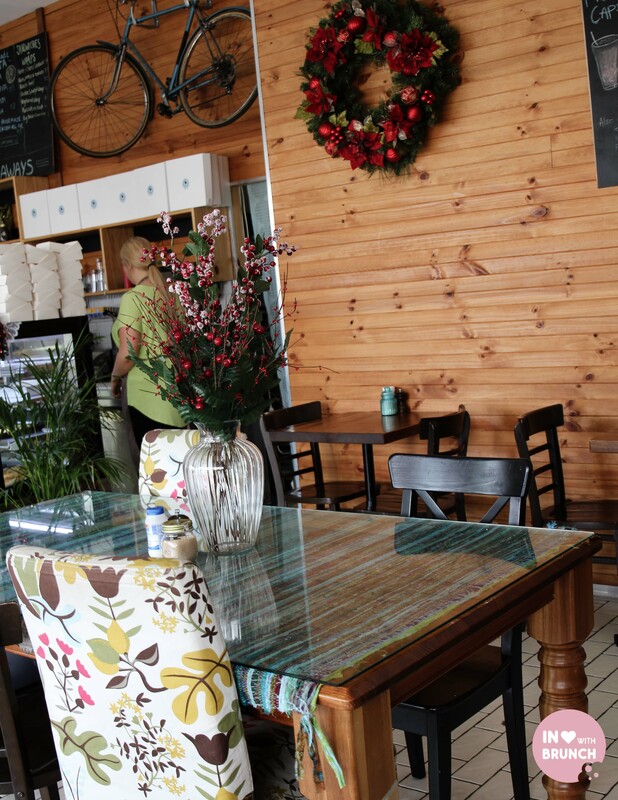 it was a relaxed saturday morning a couple of weeks ago when i stopped into kingsville bakery kafe ‘olive oil + butter’. 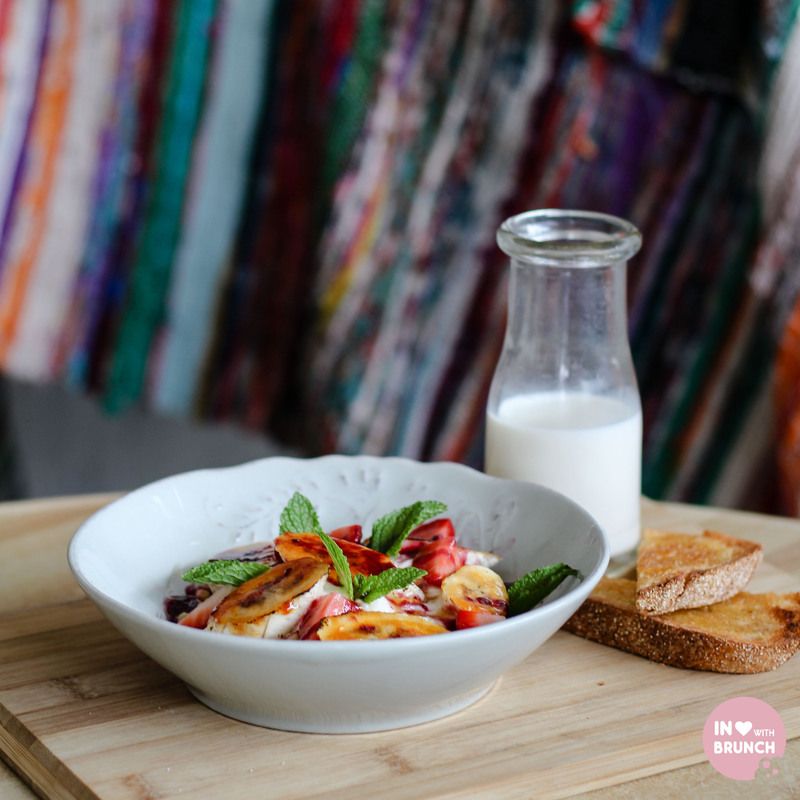 sandwiched between yarraville + footscray, this westside suburb appears to be the lesser known cousin to up-and-coming west suburbs which feature funky cafes like giddyup mule + rudimentary. however, there are now a number of cafes popping up along thoroughfare somerville road which should not be forgotten and will certainly experience a boom and rejuvenation in coming years. run by brother + sister pair christopher + pelagia, ‘olive oil + butter’ was established over a year ago and already has a steady stream of locals in its clientele. 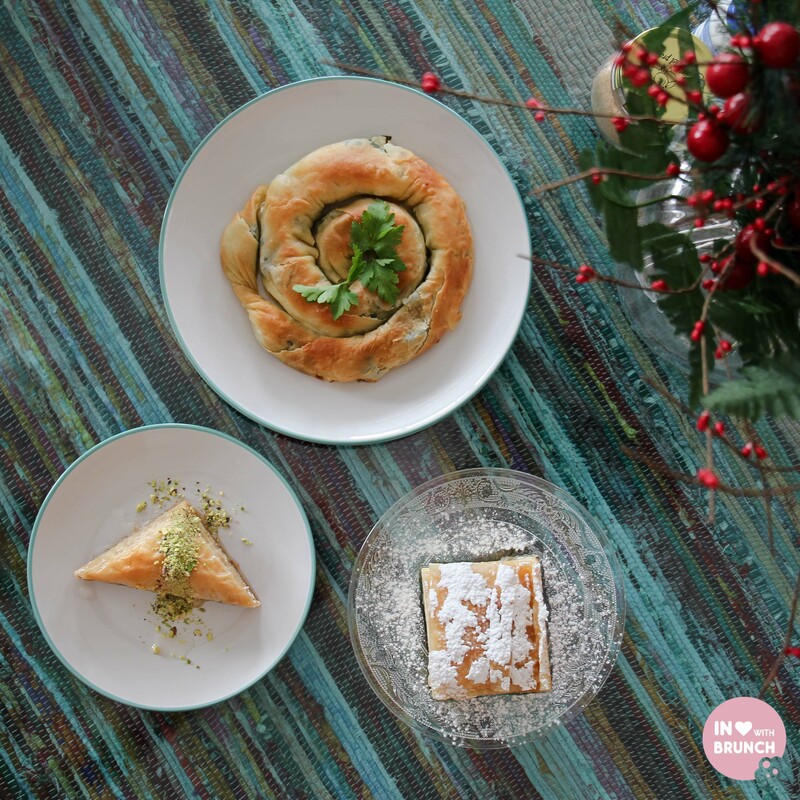 but with a desire to cast a wider net, i was invited in to try their authentic greek fare – in particular the traditional greek pastries made lovingly by the duo’s mother. 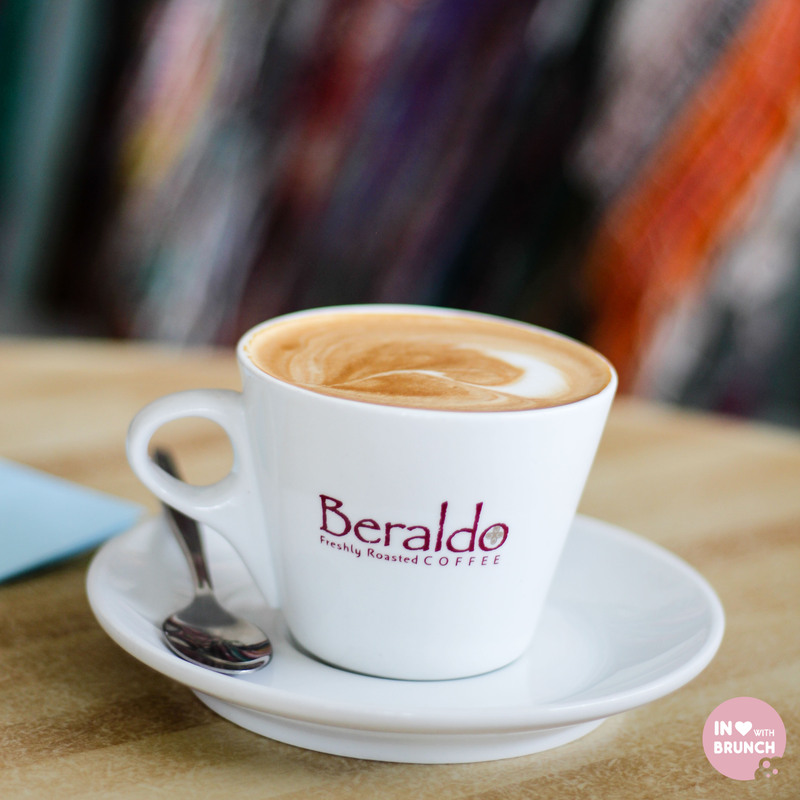 i started off with a flat white made with a beraldo aribica blend. whilst not perhaps one of your more popular/trendy melbourne roasts, no doubt this is a strong + vibrant blend with a rather creamy mouthfeel. that said, i feel a single origin variety, perhaps a cold drip + some latte art finesse would really help to draw in the fussy melbourne coffee scene. 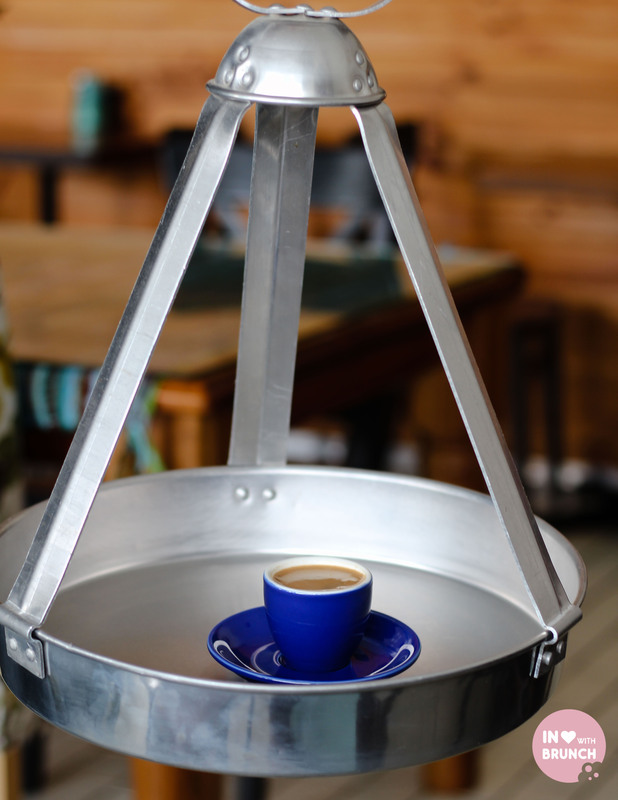 the families heritage really shines through in the kafe, and having my traditional greek coffee (which is powdery and very strong) delivered on a beautiful swinging tray really added to the fun theatrics of the morning. food-wise… pelagia, who runs the kitchen, proudly stays true to the greek influence in the breakfast menu with a number of traditional dishes like keftethes (greek meatballs with scrambled eggs), tiganites (greek pancakes) + kalamboki (polenta) on offer but with a modern twist particularly with some more contemporary presentation. 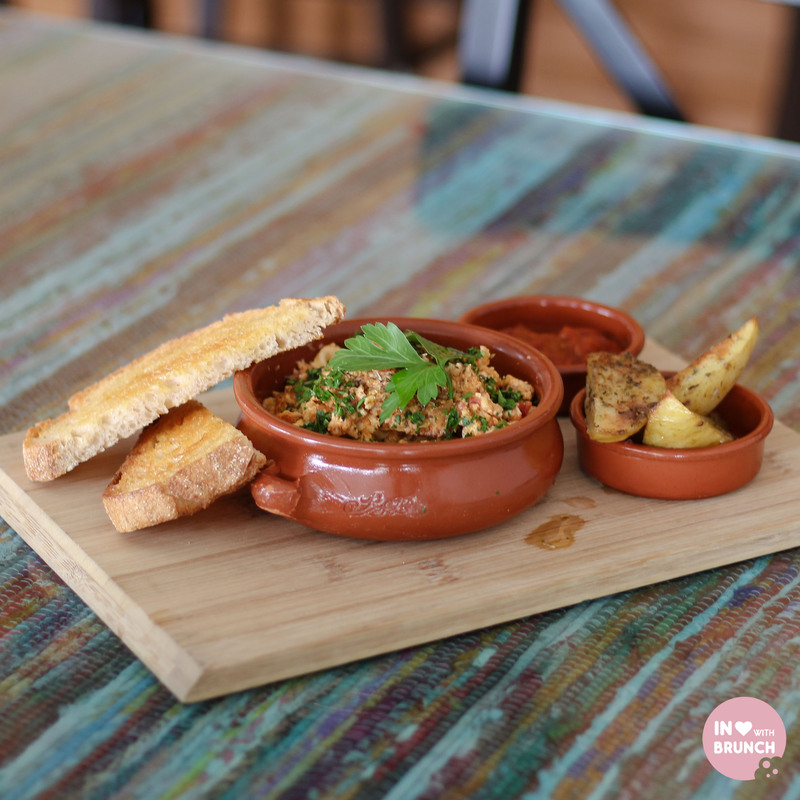 beautifully served on a wooden board with a number of small ceramic bowls, this dish was eye-catching. the scrambled eggs were mixed with a generous dose of fresh + dried herbs and the confit onions really came through in the flavour. personally, i found the thyme + olive oil a bit overwhelming (and a bit too liquidy) for my australian-palate however both the patates + tomato relish had outstanding flavour + texture, helping to cut through the herbs. again, the presentation was so pretty, especially with the vibrant colours from the fresh fruit on top. the banana brulee was delicious – adding a lovely crunch to the dish. in regards to the muesli, sadly i found the wheat to be quite bland and the nuts had all been chopped to a similar size of the wheat kernels and didn’t allow them to ‘pop’ as i’d hoped. personally, i think the addition of some oats or other grains, and a variety of textures in the muesli (full size almonds + walnuts), would’ve really helped to lift this dish. 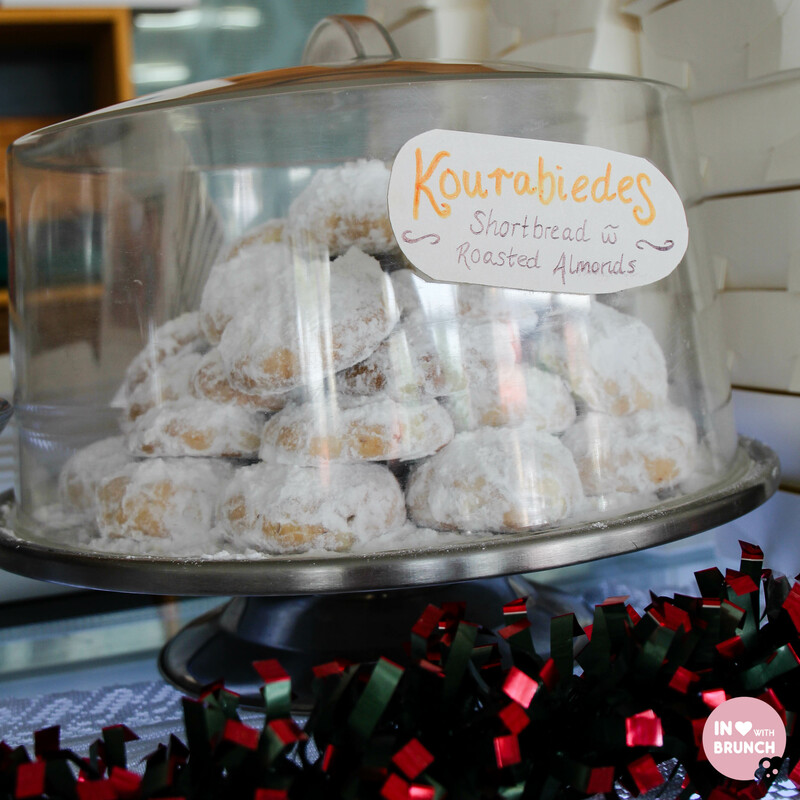 however, without a doubt… these guys know their traditional greek pastries! 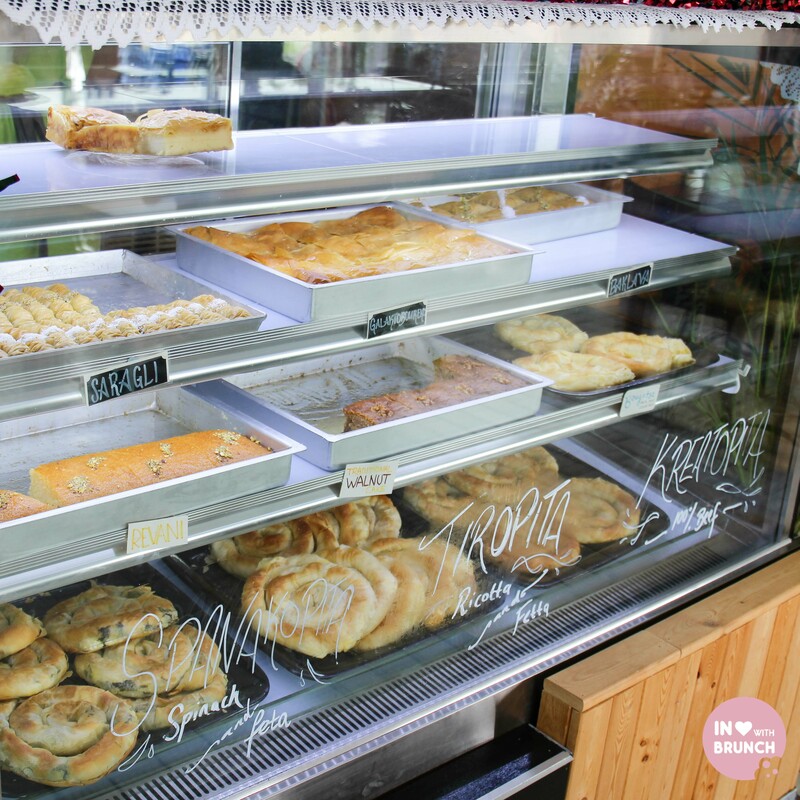 the ‘olive oil + butter’ speciality – spanakopita – did not disappoint! 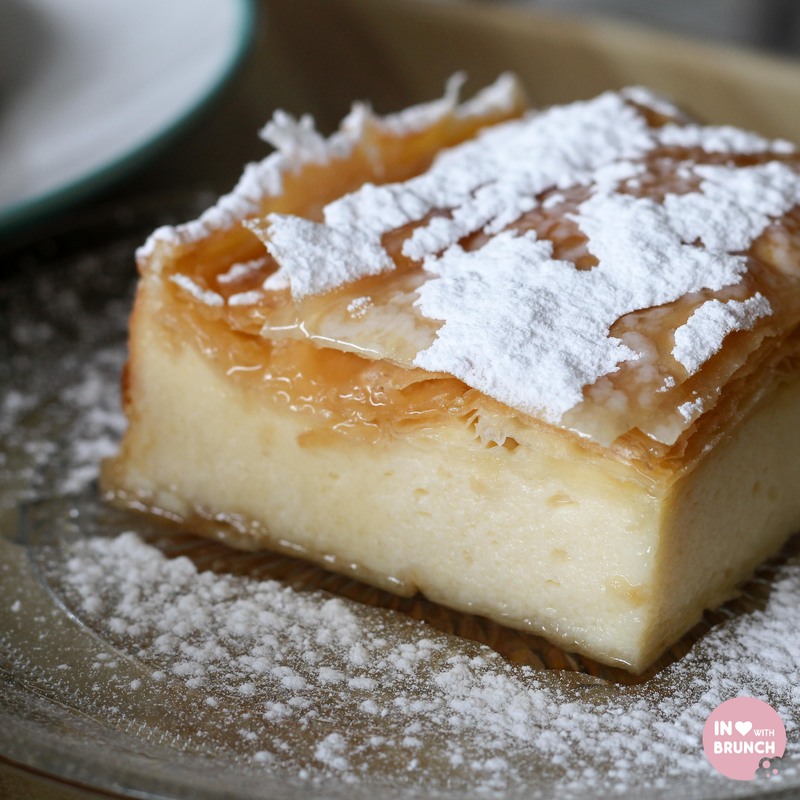 nor did the delectable bougatsa and baklava. 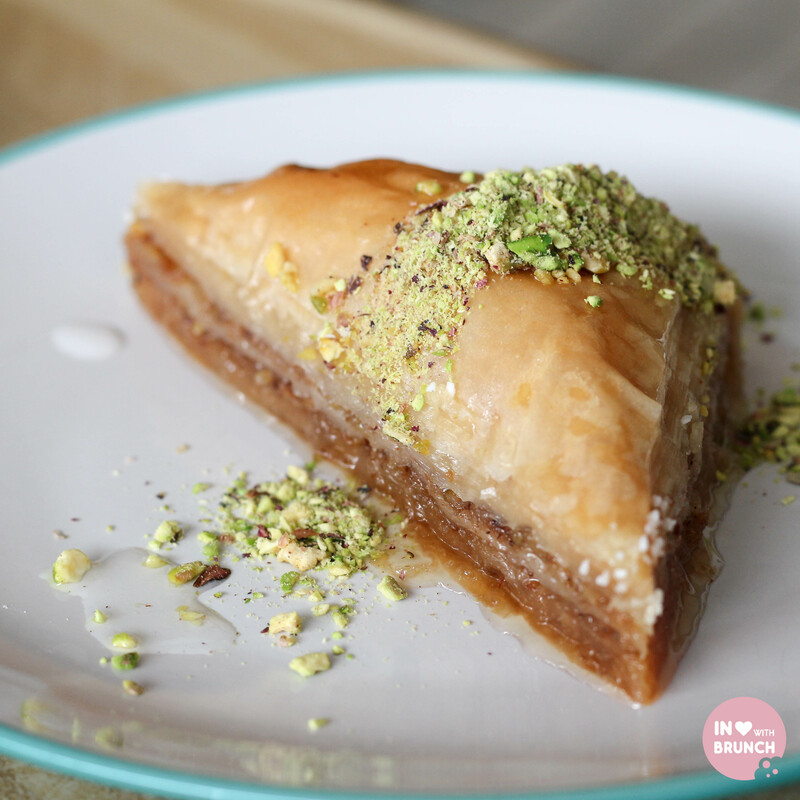 mmm baklava… beautifully sweet with honey + topped with pistachio. i would definitely eat any of these again! the bakery items are fresh every day and you can drop in to enjoy them with a coffee, or takeaway for that home-treat or family get together. service throughout was really friendly and attentive. 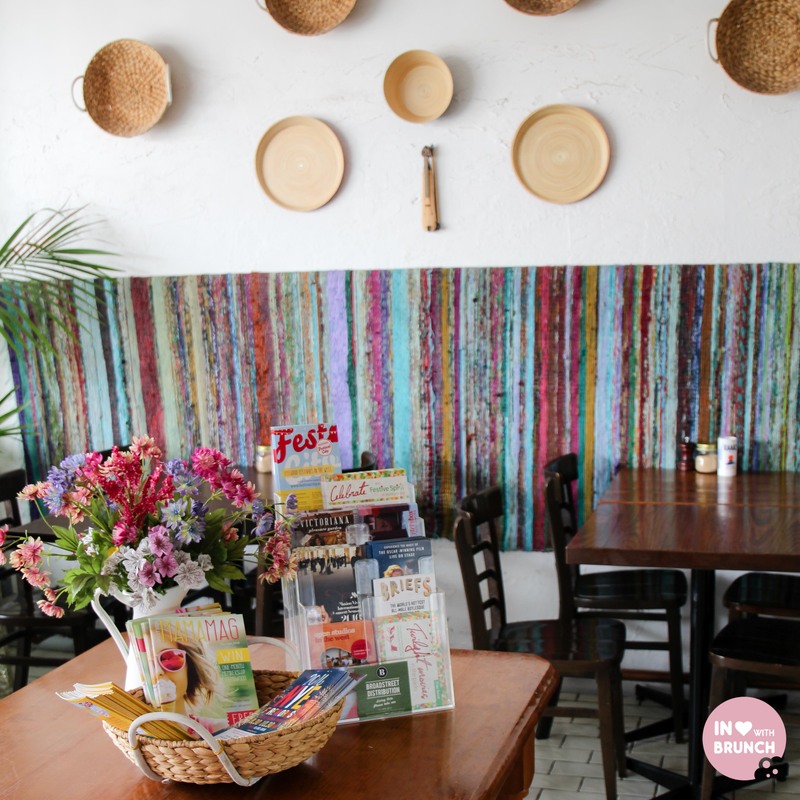 there was a steady stream of locals + visitors who were enjoying the warm + vibrant interior, and the dog-friendly footpath dining. the respect for their greek heritage and traditional ingredients and dishes really shines through at ‘olive oil and butter’, and i have so much admiration for this lovely family who are working hard to share their passion with melbourne locals. 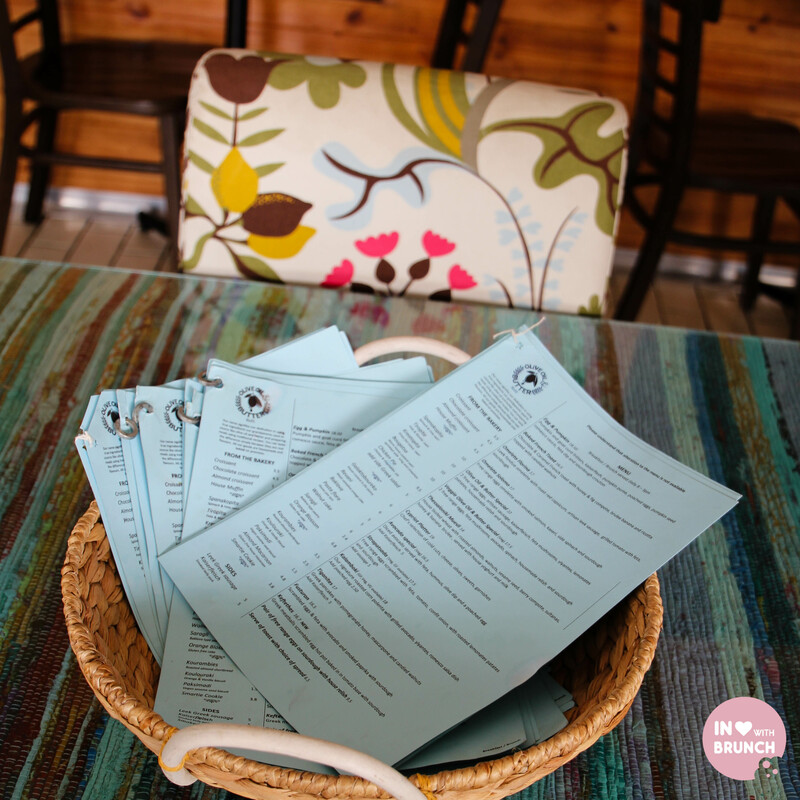 impressively, breakfast / brunch is served daily from 8am to 3pm. as signified on the top corner of the menu ‘our name signifies our dedication in using true ingredients our grandparents used to source like olive oil and butter and preparing meals using traditional recipes.’ and there is no doubt that they are definitely achieving this. a few tweaks to ‘contemporise’ the brunch menu may help to draw in a greater crowd of melbourne diners but i can see those pastries walking out the door by the dozens regardless! 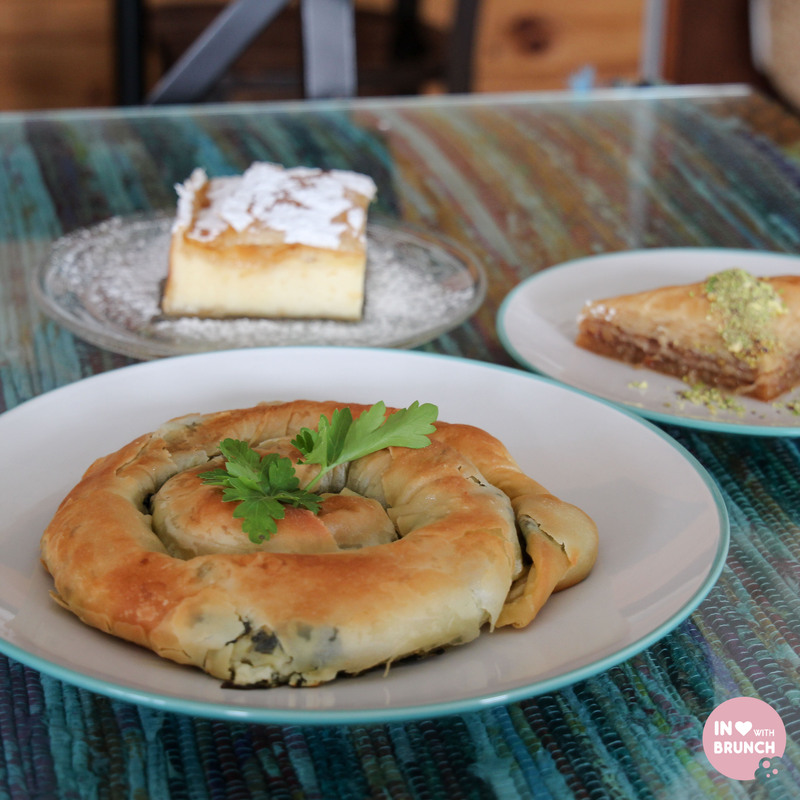 verdict: these guys really know their traditional greek dishes, ingredients and pastries!